We celebrated Fall to its fullest this week at New Alternatives for Kids, a center for children going through foster care and special medical needs. Leaves became sting rays, rabbits, giraffes, spiders, birds, and beyond. 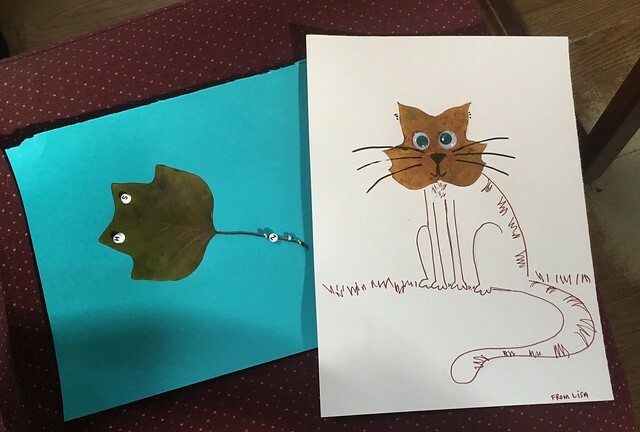 As our ever-creative batch of kids reimagined what a leaf could be, more and more ideas poured out and soon they were making second, third, and fourth projects – and even taking leaves home with their Blick drawing materials so they could keep creating! Everyone was excited to use the secret ingredient – googly eyes – but they got even craftier! One girl, who never leaves home without her own little baggie of craft materials, just so happened to have a cotton ball – perfect for completing her bunny. Thank you, dear volunteers: Tim Savage, Pedro Delgado, Elana Amity, Scott Brundage and huge gratitude to the one and only Lisa LaBracio, who collected all these beautiful leaves and led this wonderful activity for us all.